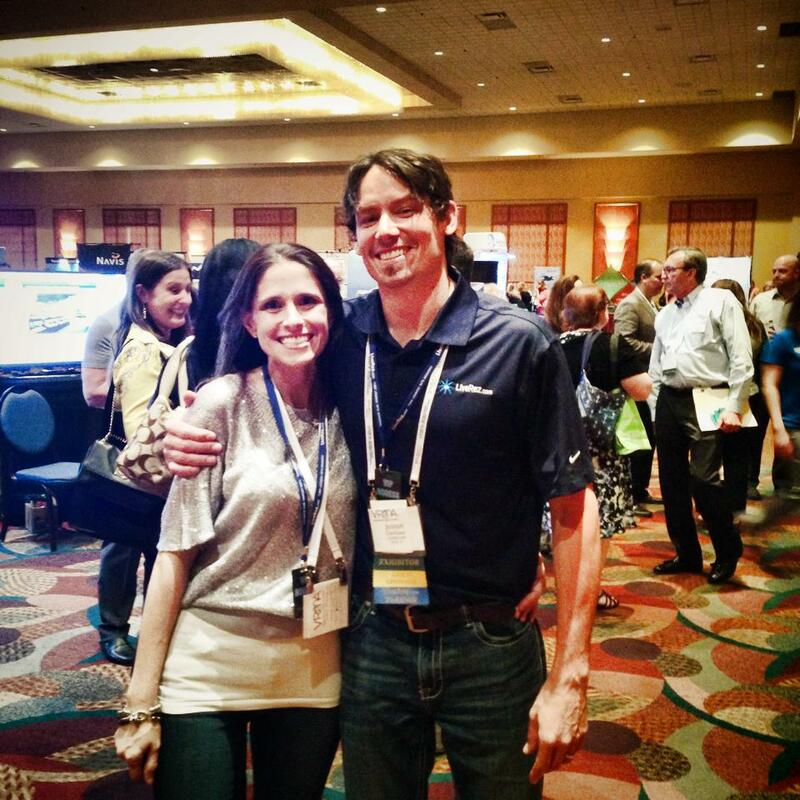 LiveRez's Juston Clarkston with LiveRez partner Lyndsey Garza of PointWest Properties at a recent VRMA event. The VRMA Annual Conference is just around the corner. From Oct. 26-29, professional vacation rental managers from all across the United States and abroad will convene at the Sheraton Hotel & Marina in San Diego, CA to learn from industry professionals, network with each other and vendors, and have a fun! Last year more than 900 vacation rental professionals attended the annual conference, making it the largest event in vacation rental history. And this year, early registration numbers point to 2014 being another record breaking year. The team at LiveRez will be at the conference in full force, and we can’t wait to see you. If you’re still on the fence about whether or not to come, here are some great reasons to make the leap. Professional managers that aren’t yet VRMA members can save $100 on their registration with our coupon code: LRAC. Just enter this code when you register for the conference online. LiveRez CEO Tracy Lotz is a true pioneer in the online vacation rental industry. In last 20 years, he’s created one of the first major websites where professional managers could list their homes, he’s helped bring online bookings to the industry, and he’s launched a leading software company you might have heard of. On Monday, Oct. 27 he’ll have the floor at the start of the first general session. During his speech, he’ll discuss industry changes and highlight some of the new innovations that LiveRez is developing. If you haven’t had the opportunity to hear Tracy speak, you won’t want to miss his talk at the conference. Click here to learn more. LiveRez is known for throwing some amazing events, not the least of which was our own conference last month. At VRMA 2014, we’ll be throwing a grand event on Monday night of the conference. All LiveRez partners are invited. More details will be coming soon. Before last year’s conference, we put together a blog post where we asked LiveRez partners why they attended VRMA events. To see all the reasons why managers mark the VRMA Annual Conference on their calendar, check out the article. Leave extra space in your luggage! The vendors at VRMA are notorious for giving out tons of SWAG (stuff we all get). You’ll want to save some extra space in your bag for all the free goodies you’ll be taking home. You may even be lucky enough to win one of the many showcase prizes (things like iPads and big screen TVs). To register for the 2014 VRMA Annual Conference, click here.